The Emirate of Abu Dhabi offers year-round sunshine, pristine beaches, luxurious hotels and a pulsating cosmopolitan lifestyle. Combined with distinct Arabic hospitality and mystique, stunning desert landscapes and an excellent infrastructure, Abu Dhabi is the prime location to jump start your international career. REPRESENTATIVES ARE COMING TO DUBLIN 24 & 25th MARCH AND LONDON 20th,21st & 22nd MARCH INFORMATION SESSIONS & INTERVIEWS. SEHA, Abu Dhabi Health Services Company employs over 18,000 people making them one of the largest employers in the Middle East. 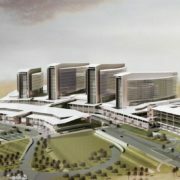 They manage the public hospitals and clinics across the United Arab Emirates and are preparing to open their newest state of the art facility at Sheikh Shakhbout Medical City in Abu Dhabi. They are looking to hire a number of highly qualified and experienced health professionals for their facilities across the United Arab Emirates. Senior Nurses, Staff Nurses (With Charge Experience), Nurse Managers (to include Matron & Sister Level), Assistant Nurse Managers, Nurse Educators and Nurse Specialists for all areas are encouraged to apply. Nurses, live and work at the gateway to the Red Sea – Jeddah! Valentines Day- Did You Know?